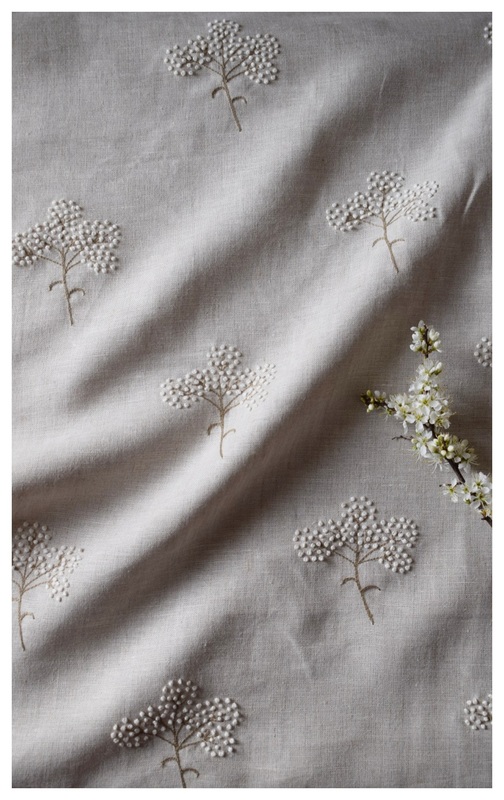 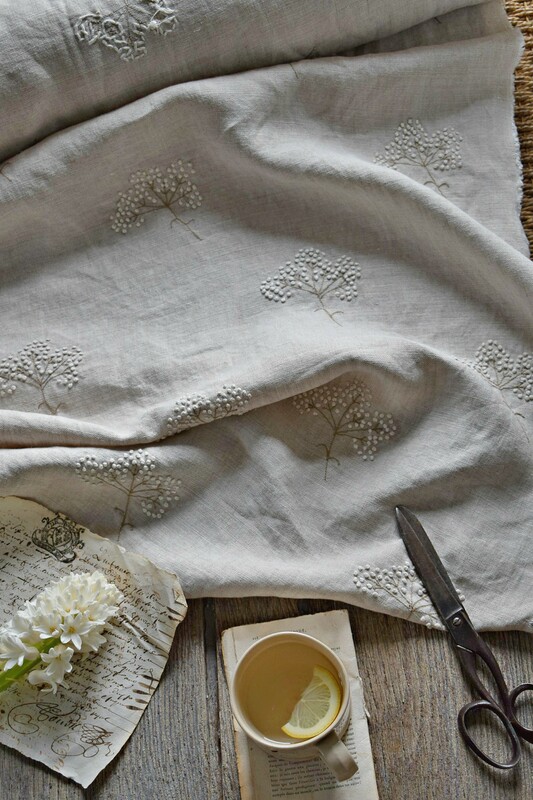 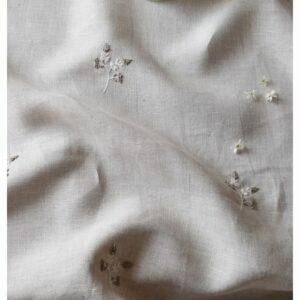 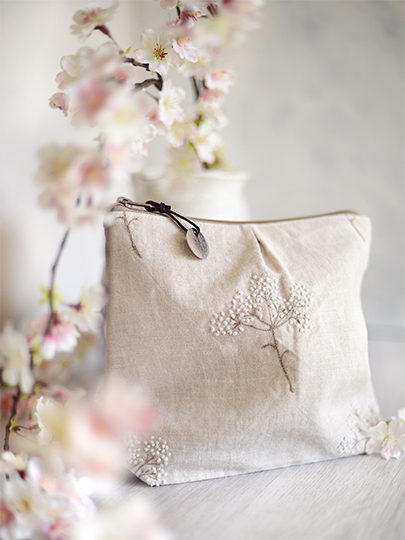 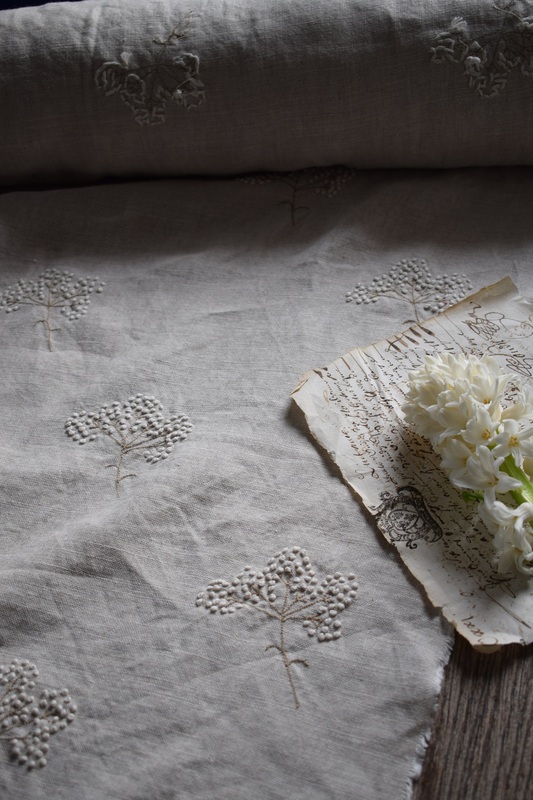 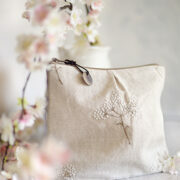 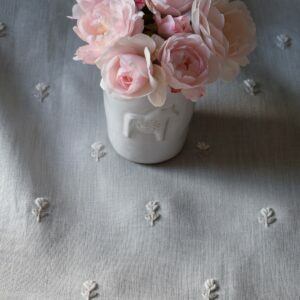 We have in stock some of our lovely hand embroidered French knot Cow Parsley. 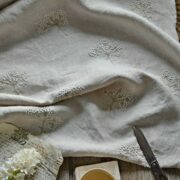 This has been entirely stitched by hand on a fine floppy Stone Linen. 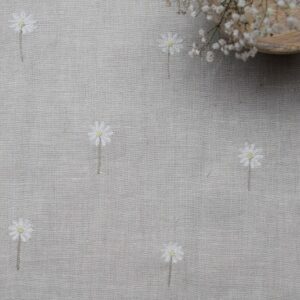 Please note as it is done by hand, there are irregularities and imperfections. 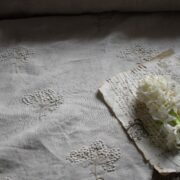 The alignment and layout can also be slightly uneven and irregular which is harder to achieve by hand than by machine embroidery. 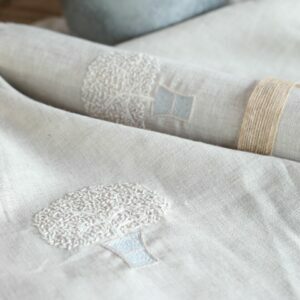 Please bear this in mind before purchasing.